The modern era brought many developments and innovations, which are designed to make our lives easier. But as in any field, even in the IT world, along with this progress, operation and maintenance of these resources are becoming more complex and elaborate, making it very difficult to technically manage , since they are scattered and involve financial investment large. The solution to these challenges already here, and it is called - virtualization. Virtualization coordinates in a neat, easy and flexible way the customer computing resources , in accordance with his requirements using Web Services method. Virtualization is a software that is installed before installing the operating system on the computer. This software serves as a foundation by which is possible to install multiple operating systems on a single server like virtual private server. Not long time ago, we used to see the physical computer and all of its installed software as a single unit, so even the thought of transfer all the content to new machine could make us postpone the issue for number of years. Virtualization allows us to separate the hardware from its software and by that, makes our lives much easier and reduces the complexity of the content transfer process to simple operation as a file copy. The benefits of virtualization in the organization are reflected when using the virtualization environment across multiple servers, thereby creates an infrastructure that allows maintenance of multiple servers and significant improvements when use the existing hardware in the organization. Virtualization allows mobilizing of operating system from one computer to another without interrupting the operation of the applications running on it so the user will not even notice the whole process. Virtualization system performs snapshots that retains all specifications of transferred machine. This method allows survival and ability to recover quickly on another machine in the virtualization environment, automatically and without delay. So why use virtualization in your organization? 1. 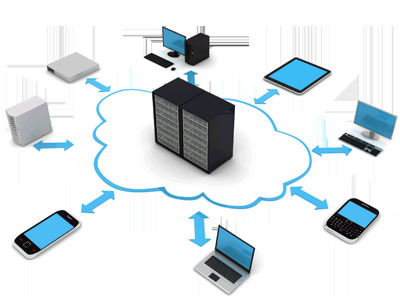 Virtualization enables to achieve optimal utilization of system resources such as CPU, memory, storage, etc by sharing resources. 2. Virtualization allows to reduce the amount of servers in the organization, thus saving purchase of new servers and other costs such as electricity, air conditioning, network cabinets, etc ..
3. Virtualization enables a new way of IT infrastructure management by enabling administrators to respond faster while users save significant time of repeating actions such as software distribution, monitoring, maintenance and configuration. 4. Maintaining continuity of work and disable the need of pausing for maintenance. This make the recovery fast and almost unnoticed. 5. Virtualization enables you to transfer an entire environment to another hardware without the need to re-install everything all over again. 6. Virtualization enables test of the product on multiple and different operating systems, thus cancel the need to use several computers with different specifications installed. Customers that use Virtualization, reports a significant improvement and time saving in deployment of new applications from weeks and days to several minutes.